This 1920 Parker 25 Jack Knife Safety BF in Black Smooth Hard Rubber. 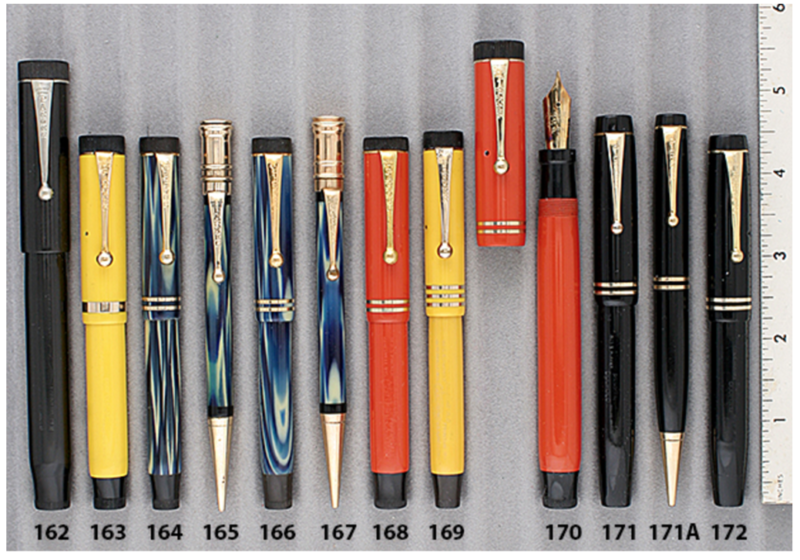 Before the button-fill, the 25 was sold as both as a “click-fill” pen and an eyedropper-fill “Trench Pen” with a compartment on the bottom for ink tablets. A larger, hard to find size. Fine, flexible nib (rare to find a flexible nib). Some imprint wear (almost all readable), otherwise near mint.